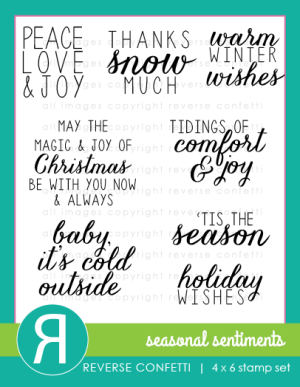 Papell with Love: Reverse Confetti December 2014 Blog Hop! 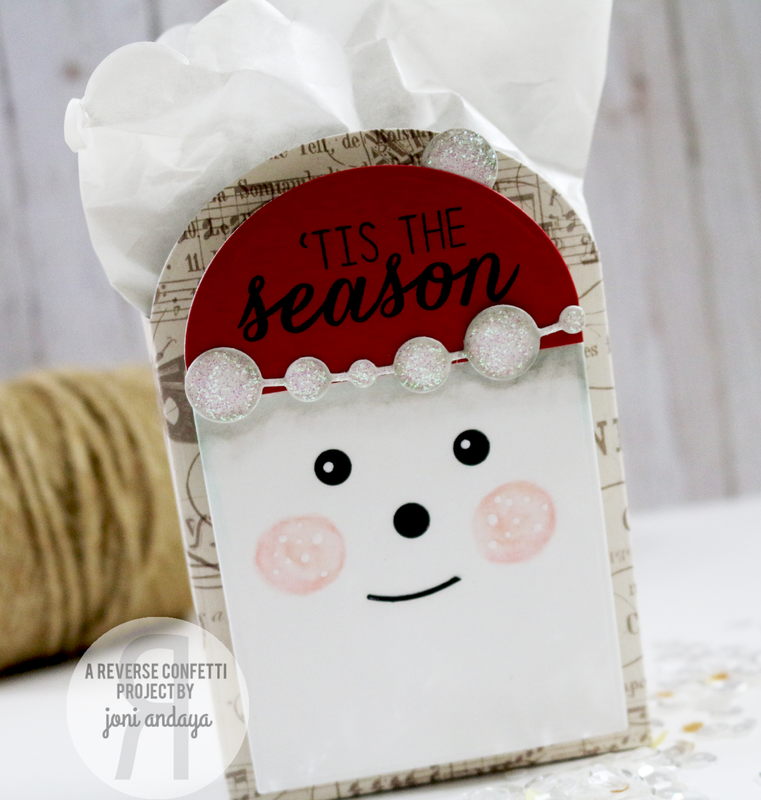 Welcome to the Reverse Confetti December 2014 Blog Hop! The hop started over on the Reverse Confetti blog, and you should have made it here from Heather Pulvirenti's Blog. For my project today I used the Seasonal Sentiments stamp set, Circle Garland Confetti Cuts. and Tagged Tote Confetti Cuts. 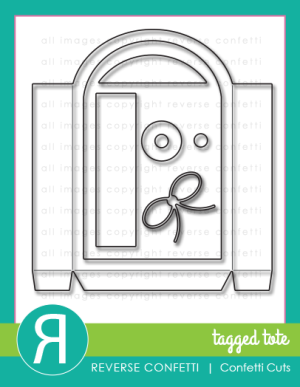 To begin my goodie bag I first die-cut the tote from Tagged Tote Confetti Cuts using patterned paper from Pink Paislee. 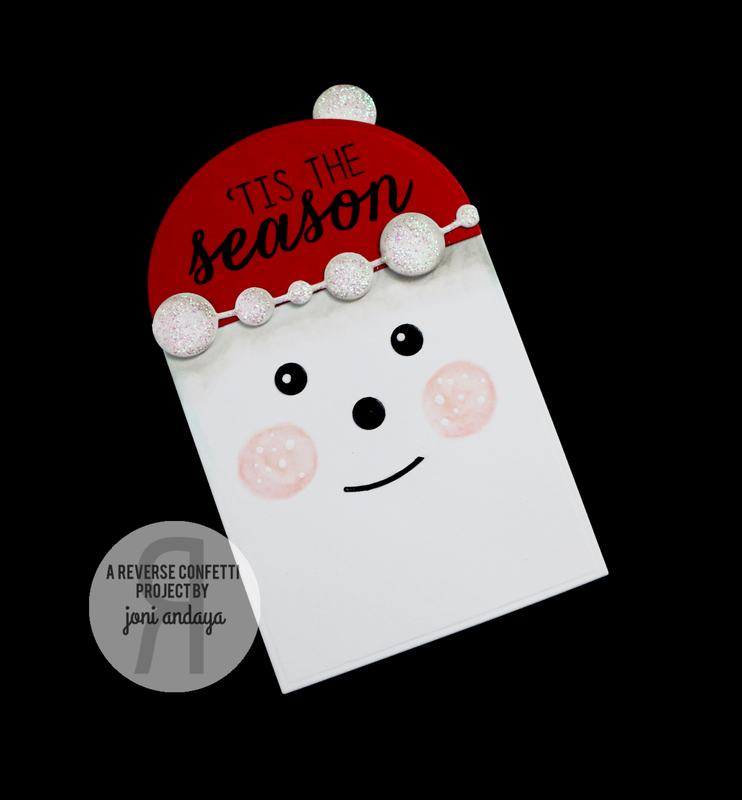 Next, I created the decorations for the tote using the die-cut tag, tiny tag hole reinforcer for the eyes and nose, I die-cut another tag using red cardstock for the hat, for the lips I used the strip from the bow die-cut that is also included from the tagged tote die. For the rosy cheeks added some Copic coloring, For the trim for the hat I used the Circle Garland Confetti Cuts and added some Stickles for sparkle. 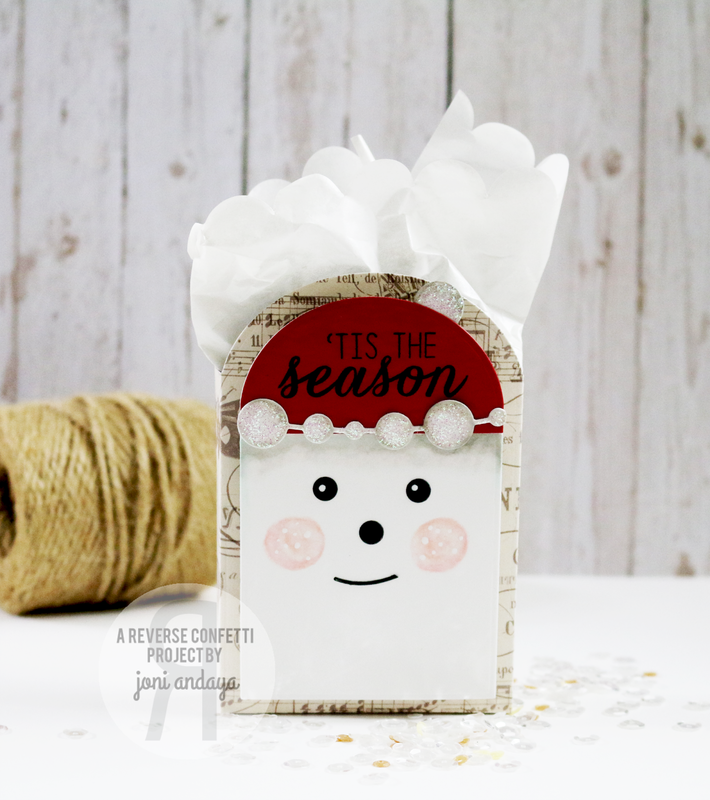 Finally, I added the "Tis the Season" sentiment from the Seasonal Sentiments stamp set. I also added some white dots on the eyes and cheeks using the white Uni-Ball broad pen. I hope you have enjoyed hopping with us today. Be sure and hop with us on the 8th of EVERY MONTH for more REVERSE CONFETTI inspiration! Now it’s time to hop on over to Lisa Henke's blog. If you get lost along the way, you can find the hop order and list of all the participating designers over on the Reverse Confetti blog. 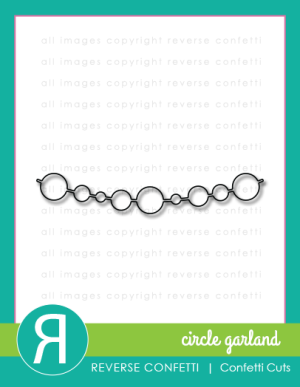 For Giveaway please stop by at Reverse Confetti blog. Sooooo so sweet! Love the details and creative use of the dies. Sooo cute, love his little face! Adorable!!! The kids in my class would LOVE to make this - thanks for the inspiration!!! You are so creative, Joni! How uh-dorable!! Oh, this is so cute & creative! Absolutely delightful! I'm loving the paper you used to create your tote! Soooo pretty! SO CUTE!!!! What a fun treat box! So cute - love the sweet little face and the sparkle. Oh gosh, this is super cute! Love! I love the Santa face on the little bag. This is so adorable and so clever! Thanks for sharing! Your bag looks so sweet, is so beautiful! What a FUN gift bag Joni, I love it!! The little ones would love this Santa! Cute!! This little treat bag is just too stinking adorable Joni! Thanks for your assembly explanation. You used all the little parts of the dies. I love it! The garland as the hat trim is genius.